Creation begins with stillness on the brink of movement. Buy the Book Online Now! "…MOVED TO CREATE simultaneously teaches, inspires, and builds real world problem solving skills. This insightful book offers far more than a metaphor that emerged from her years as a dance instructor and leadership development specialist. Julie’s MOVES process is a rich model for human development. 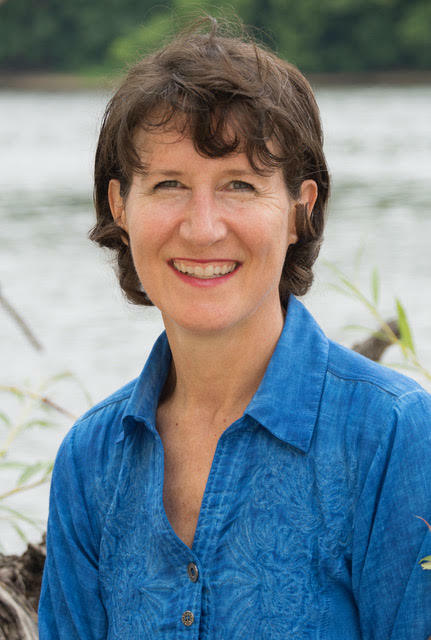 I highly endorse approaching adult development in a way that addresses the whole person—mind, body, emotions, spirit—and Julie brings it all together in a step-by-step system that is immediate." 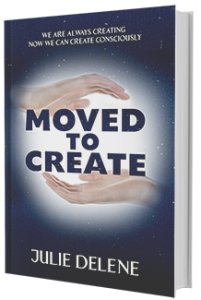 MOVED TO CREATE is a powerful book that guides you to create the change you want. Engaging your body, mind and breath, you develop clarity and build energy to move into your best life, work and relationships. Using MOVES, the 5 Mindful Moves™, you’ll begin to feel beautifully integrated, purposefully flowing, and alive with energy and vitality. Lead change by using this eco-creative system again and again. Meet challenges as a masterful change agent. MOVED TO CREATE guides you through a simple—and powerful—system to consciously move energy and create the change you want. It engages all the elements of your body, mind and spirit, to move you into your best life, work and relationships. The beauty of this system is you can use it over and over to meet the challenges of constant life changes. Many of us do not realize how powerful we are, that we are in fact, always creating. Often we forget and get mired down by old systems, routines, structures, thoughts, emotions and paradigms that do not empower. It is with great joy that I help people re-inspire their creative self and find answers that are in alignment with their whole being. When you do, you feel beautifully integrated, purposefully flowing, and alive with energy and vitality. The truth is we are always re-creating, so begin now to move your life. I promise you will experience great blessings, much joy and clarity, and a delight in your creative spirit. "Julie Delene has written this marvelous book on how to envision, create and sustain your authentic life. Her book gives many simple and yet powerful exercises you can use to take control of your life, your joy, your health and your relationships. I highly recommend reading and following her advice." "Julie Delene is a sparkling spirit, and her love of truth and movement comes through in her book. She motivates us to remember how much we can learn from the wisdom of the body. She reminds us to move, and to create."